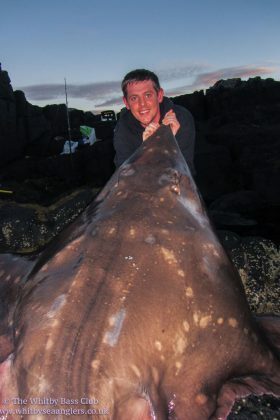 Dan’s amazing catch weighed 94.34kg (208lbs) and was made in Kilmalaug Bay at the northern tip of The Isle Of Skye. The huge specimen took a mackerel fillet fished on the bottom and took a full hour to land. More amazing is the fact it was caught and landed on a 60lb snood (Wire) and 60lb braid (Power pro). Dan used a Penn Affinity 16ft Beachcaster coupled with Shimano Ultegra 14000XSC fixed spool reel. The catch, which was 2.24m (88.25in) long by 1.7m (66.75in) wide, has now been confirmed by the British Record Fish Committee as the largest fish caught on its current list. 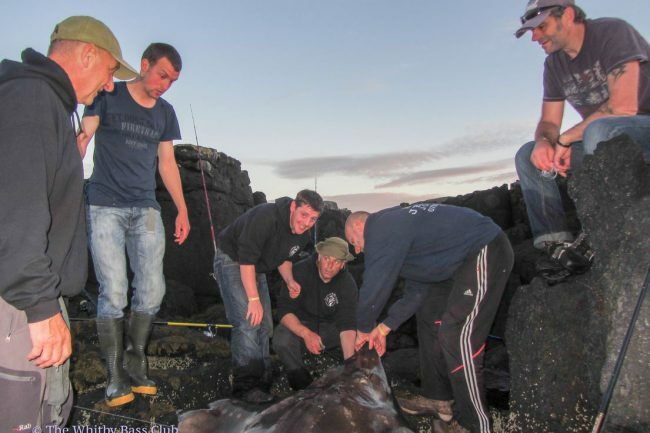 Although the fish was not weighed at the scene, because the anglers did not have scales, the weight was worked out by The Shark Trust – a UK conservation charity – based on the measurements of the fish. 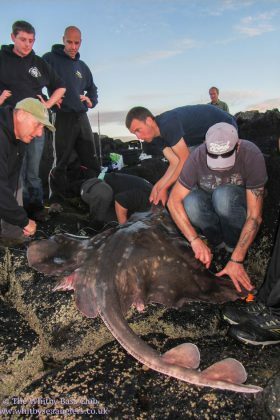 Previously, the largest fish caught from British shores was a 72kg (159lb) skate reeled in on the Isle of Lewis in 1994. Those anglers have since become ‘local celebrities’ on Skye – but Mr Bennett says his girlfriend, Philippa, is not quite as impressed. Mr Bennett, who works in Whitby Angling Supplies Tackle Shop said: "My partner is not really that interested, but she’s proud of me nonetheless. "I think people outside the angling world find it harder to see how much of a feat this is. "West Scotland is known for skate fishing but not Skye. We were the first to catch one there for at least 30 or 40 years. Nick Simmonds, secretary of the British Record Fish Committee, said: "There is not a larger fish recorded as being caught on our current record list. "Once we receive pictures from Dan we will pass them on to our scientist who will check the images and hopefully confirm the unofficial record. "It can’t be confirmed as a record as it was not weighed at the scene. "It will be seriously considered for the Notable Fish List, which was created for situations like this where the fish cannot be weighed. This list is historically important, at least in the angling world."